New Order are an alternative rock/electronic dance band which formed in 1980 in Salford, England, United Kingdom by the three remaining members of Joy Division. The band's classic lineup consists of Bernard Sumner (vocals, guitar, keyboards), Peter Hook (bass, electronic percussion), Gillian Gilbert (keyboards, guitar) and Stephen Morris (drums, keyboards). The group effectively disbanded in 1993 but reformed in 1998. Gilbert left in 2001 to look after her and Morris' children and was replaced by guitarist/keyboardist Phil Cunningham. Hook left acrimoniously in 2007 and declared the band to be defunct. Initially, Sumner, Cunningham and Morris denied the band had split up, but in 2009, following the release of the trio's Bad Lieutenant album, they admitted that that they could not continue on without Hook and officially disbanded. However, the band reformed in 2011 for a pair of charity dates without Hook, with Gilbert returning to the fold and Tom Chapman replacing Hook on bass. 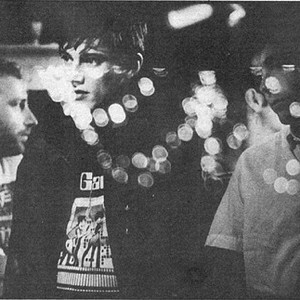 Pioneers of dance music in the 1980s and one of the first bands to effectively and popularly synthesize keyboard- and guitar-based music, New Order's members hailed from Salford and Macclesfield, England out of the ashes of Joy Division, are noted as being one of the first bands to bridge the gap between post-punk and dancefloor. They were Factory Records' highest selling artist. They also funded Factory's famous Manchester club, The Ha?ienda. The band partnered with Quincy Jones's American label Qwest, recorded with legendary hip-hop producer Arthur Baker (on 1983's single "Confusion" and 1984's "Thieves Like Us"), and they embraced Ibizan club culture on the album, Technique.